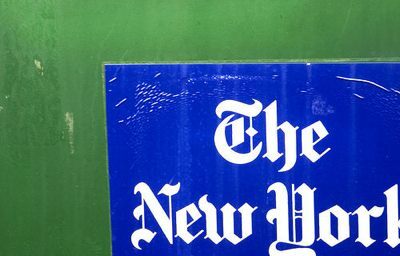 HispanicNashville.com: Dear New York Times: why the "illegal" for one law but not for others? Dear New York Times: why the "illegal" for one law but not for others? Please look at the frequency of your paper's use of the word "illegal" as an adjective to describe individuals in the comparative contexts of (a) immigration law and (b) other laws. You may find to your chagrin that immigrants are nearly the only group of people you describe as "illegal," and immigration law is the only law the Times reports on this way. The January 3, 2010 article "Whither the Dream" uses the term "illegal student" in the context of immigration law. The January 8, 2010 blog post "Italy Puts Swiss Tax Haven Under Siege," however, described a separate category of lawbreaking - tax evasion - without once using the noun or adjective "illegal" to describe the lawbreakers themselves. The author's descriptions of the people who had violated the law were "the rich," "tax evaders," "Italians," and "Italian clients." The disparity between the January 3 article on immigration law and the January 8 blog post on tax law is not attributable to the difference between your paper's articles and its blog posts. The difference is representative of a broader trend at the Times. A Google search for the word "illegal" on your pages reveals numbers of people described in headlines as "illegal" if the law at issue is immigration, but the same treatment of anyone else in regard to any other law is rare. And when the Times switches to other words besides "illegal," to describe a person it's seldom in regard to immigration. A search for the word "lawbreaker" on your pages shows approximately 750 occurrences, but only 55 also include the word "immigrant." How often do the words "illegal" and "immigrant" appear in the same story together? 13,600. How many appearances of the words "illegal immigrant"? 4,740. If the standard for reporting on people who break the law is to predominantly use neutral terms like "the rich," "Italians," and "lawbreakers," then it's questionable to switch to a vocabulary modifying your descriptions of people with a legal adjective - "illegal" - just because the law is immigration. So please start referring to students as "students" and leave it at that. For the sake of variety, you may still decide it is appropriate to occasionally throw in a legal description of a person, as was done once with the term "tax evaders" in the tax-related blog post. May I suggest that for immigration law, the adjectives "visaless" and/or "unvisaed" are more specific than "illegal" or even "undocumented" or "unauthorized," because it's the lack of a visa (or immigration-specific authorization) that more specifically describes people without immigration status. If you search for usage of the term "unvisaed" here in the U.S., you won't find it much, but it's a commonly used term in Australia. "Visaless" is an even more common term. Both are reasonable alternatives. If you find these unacceptable, maybe no adjective is useful, and you may find it helpful to focus on describing behavior instead of characterizing people. At least be consistent between your descriptions of people who are on the wrong side of immigration laws and people who are on the wrong side of tax laws. Thanks for standing up to this dehumanizing language, John.